A SQL migration script is similar to a SQL build script, except that it changes a database from one version to another, rather than builds it from scratch. Although they're simple in essence, it is worth knowing how to use them effectively for stress-free database updates and deployments. It takes care to get them right, but it is worth the trouble. What is a Migration Script? Whereas a build script creates a database, a migration script, or ‘change’ script, alters a database. It is called a migration script because it changes all or part of a database from one version to another. It ‘migrates’ it between versions. This alteration can be as simple as adding or removing a column to a table, or a complex refactoring task such as splitting tables or changing column properties in a way that could affect the data it stores. 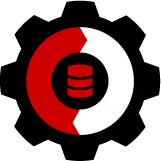 Automated Migration Script – this is a script generated by a synchronization tool such as SQL Compare and normally checked, and perhaps altered, by a developer or DBA. Manual Migration Script – this is a script written by a database programmer. Sometimes it is impossible for a tool to create a migration script that will preserve the data in the correct place. Although it knows what the ‘before’ and ‘after’ versions of the database look like, there is sometimes ambiguity regarding the correct transition path. The classic example is that of renaming a table from A to B. We know it’s the same table with a different name, but a tool would likely perform the transition by dropping A, and any data it contains, and creating B. Of course, there are other, more subtle examples where there is not enough evidence in the source and target databases for the tool to be certain of where the data should go without human intervention. Migration scripts can be forward or “up” migrations that go to a newer version of a database, or backward, or “down” migrations to fall back to a previous version of a database. Any manual migration script is generally used to move between consecutive versions of a database. A migration script must be idempotent, in that it will have no additional effect if run more than once on the same database. It isn’t wise to change a script once it has been run successfully, and the same set of migration scripts should be run in every server environment where the deployment is taking place. With this discipline in place, we have a much greater chance of error-free deployments. To bring a database up-to-date, for example, all that is necessary is to run in the correct order the “up” migration scripts that will transform the target database from its current version to the latest version in source control. A ‘build script’ is then merely a special case of a migration script that migrates the database from nowhere to the first version. It is a good precaution to write integration tests to check that the migration scripts have worked, and it is also essential to be able to roll back to a known version if an error occurs during the build process. Although a synchronization tool can describe most migrations, there are some database changes that can’t be inferred by comparing the beginning and end states of the database, because the tool has insufficient information to know how to migrate the existing data. A table named People in one database might be named Customers in another. Although they’re the same table and contain the same data, it is impossible to tell whether the two are the same table with any certainty. In assessing the differences between the databases, any automated process will interpret them as two different tables. The People table only exists in the target database, and the Customers table only exists in the source database, and an automatically-generated comparison script would drop the People table and create a new, empty table named Customers. When the script is run, the data in the People table is lost. To get around a great deal of work, it is better to replace this with a manual migration script that does the rename using sp_rename. When we split a column, an automated migration script would likely create two or more new columns and drop the original column. Likewise, a column merge would create a new column and drop the original columns. In either case, any data in the dropped column(s) will be lost. Instead, we can create a manual migration script to create the new column(s), run custom SQL to move the data, and then drop the original column(s). When we change a column’s data type (for example, from INT to SMALLINT), data may be truncated during deployment if the new data type doesn’t accommodate some of the rows. Similarly, changes to the size of some columns can result in truncation; for example, VARCHAR(50) to VARCHAR(20). We can create a manual migration script to modify rows appropriately that would otherwise be truncated. Regardless of how we generate the migration script, we may not be able to run it “as is” on a large database, especially one that is in production use. An ALTER statement on a heavily used OLTP table that is being actively updated can have serious repercussions. Any operation, for example, that acquires a schema-modification lock will prevent user access to the table or its metadata during the modification. Alterations to a table are fully logged and so I/O-intensive. If they require table locks, then all other active users of the table will be forced to wait. Operations such as dropping a column, or adding a NOT NULL column with a default value, can take a long time to complete and will generate many log records. Just as we might break into smaller batches INSERT, UPDATE, or DELETE statements against large active tables, that affect many rows, so large-scale data migrations in such circumstances are best done incrementally in discrete batches. However this doesn’t apply to metadata. An individual column insertion is a single operation and can’t be broken down and so, to avoid taking the database offline, would require a series of steps involving the creation of a new table, population with data, and a subsequent rename, or ideally a synonym change. This process is usually done with indirection using changes of Synonyms because of their late-binding, or with partition-switching (Enterprise Edition only). Every migration script needs a way to check the preconditions in the environment in which it will run to make sure the script has the right and that it is idempotent, meaning that running it repeatedly will have no further effect. For this purpose, we include in every script a guard clause that will, for example, check to see whether the migration task has already been accomplished before continuing to run it. We might also write a clause that checks whether the migration script is valid for the version of the target database. For example, if we know that a migration script is intended for version 1.5, we can have the script start by interrogating the current version number of the target database, and aborting if it isn’t “1.5”. Unfortunately, there is no standard way of attaching a version to a SQL Server Database. The obvious place to store the current version is in the extended properties of the database, but these are not implemented in Windows Azure SQL Database (formerly SQL Azure, SQL Server Data Services, and later SQL Services). Therefore, it is probably safest to store them in a special-purpose table-valued function or view in the target database if your database has to be portable to Azure SQL. The following sections review some typical IF EXISTS-style guard clauses. Every migration script should include a guard clause that will stop the migration script making changes if it doesn’t need to be run. It is dangerous to assume that a script will only be run in the right preconditions. If you don’t include a guard clause, the migration script might fail or create unexpected changes in the database. Guard clauses are standard practice for SQL Server scripting. When, for example, developing a stored procedure, one can use CREATE PROCEDURE if the procedure doesn’t exist, or the ALTER PROCEDURE if it does. The former will fail with an error if it already exists, and the latter will fail if it doesn’t. To prevent errors, a guard clause is generally inserted to delete the procedure first if it exists. After that, it is safe to use CREATE PROCEDURE. Since SQL Server 2008, it has been possible to do it a more elegant way that preserves existing permissions on the procedure, having the guard clause run SET NOEXEC ON if the procedure already exists, which then parses, but does not execute the CREATE statement that creates a blank procedure. This avoids deleting an object in a running system, and preserves all the object’s existing attributes when making a change to it. It also gets round the problem of doing a conditional ‘CREATE’ when it must be at the start of a batch. see Listing 1 in ‘Automating SQL Server Database Deployments: Scripting Details’. In other circumstances, a guard clause can be used to abort a script if it determines that it has already been run, or to perform different logic depending on the database context in which the script is being run. In the following examples, print statements are used to show where the SQL Statements would be. --is the column (part of ) a primary key? The following section provides typical examples of manual migration scripts for various common database refactoring tasks. Select 'MyProcedureName ... running ...'--just for now! This migration renames the Person table to Customer. The script includes a guard clause to check that the table Person exists in the database. If the table doesn’t exist, no changes are made. This migration updates the column definition in the table Widgets with a default value for existing rows before adding a NOT NULL constraint. It includes a guard clause to check that the Widgets table contains a Description column. If the column doesn’t exist, no changes are made. --following the RETURN statement are executed. --we can't do the change if there are any dependencies. 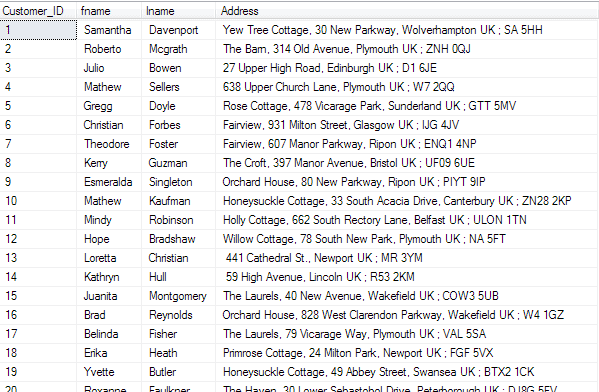 In this example, The Customer table has a column Address with the postcode embedded, which means that reports that determine regions based on postcode are difficult. The script includes a guard clause to check that the Customer table contains an Address column. If the column doesn’t exist, then no changes are made. 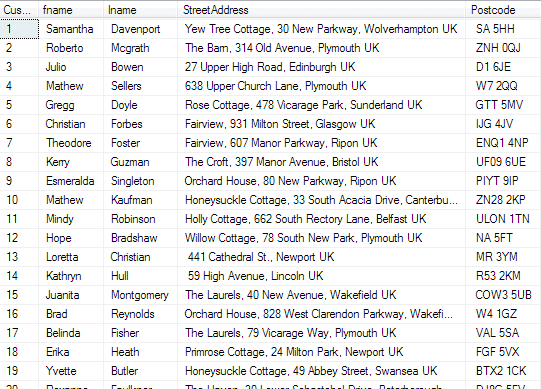 If the column does exist, the guard clause checks that the StreetAddress and PostCode columns also exist. If they don’t exist, the script creates the columns before updating the rows. RETURN --None of the statements in a batch following the RETURN statement are executed. 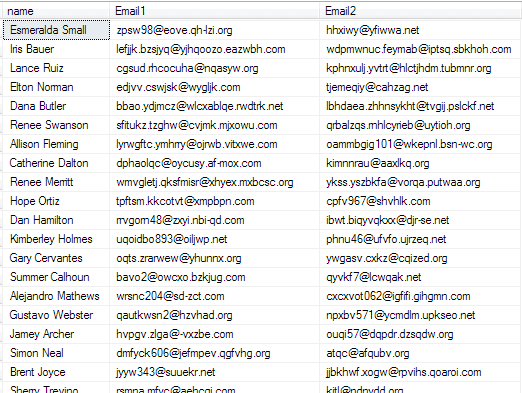 In this example, a table, PersonData, has two email columns in it, to try to accommodate the fact that some customers have two email addresses. It needs to be normalized, of course. The migration script moves data from the table PersonData to the tables Person and Email. It includes a guard clause to check that the table PersonData exists in the database. If the table doesn’t exist, no changes are made. 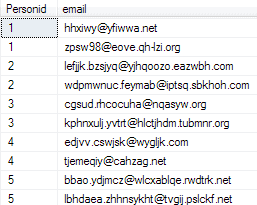 If the table exists, the guard clause checks that the Person and Email tables exist. If they don’t exist, the script creates the tables before updating the rows. Imagine that we have inherited a database that hasn’t been properly normalized and needs refactoring. Data for customers is held in table named PersonData, which also contains all their contact details. We now want to migrate Email1 and Email2 from PersonData into Contacts.Email, creating two separate rows for a person having both Email1 and Email2. Similarly, we migrate the phone and address details. After running the migration script, we can drop the original PersonData table as a separate commit. Although much of the chore of synchronizing databases for a deployment can be done using a tool such as SQL Compare, there are times when a step has to be done by hand, either because it is a large table, or it isn’t unambiguously obvious how the existing data should be placed in the target revision of the database, in such a way as to be sure of preserving it. For the automated deployment of databases, hand-crafted SQL migration scripts will occasionally have a place, and will be stored in version control to run before any automated process for deploying changes to the database. They should be written so that, if it is run at the wrong time, or run repeatedly, it will have no effect. Guard Clauses are a good way of ensuring that Murphy’s law will have no consequences. 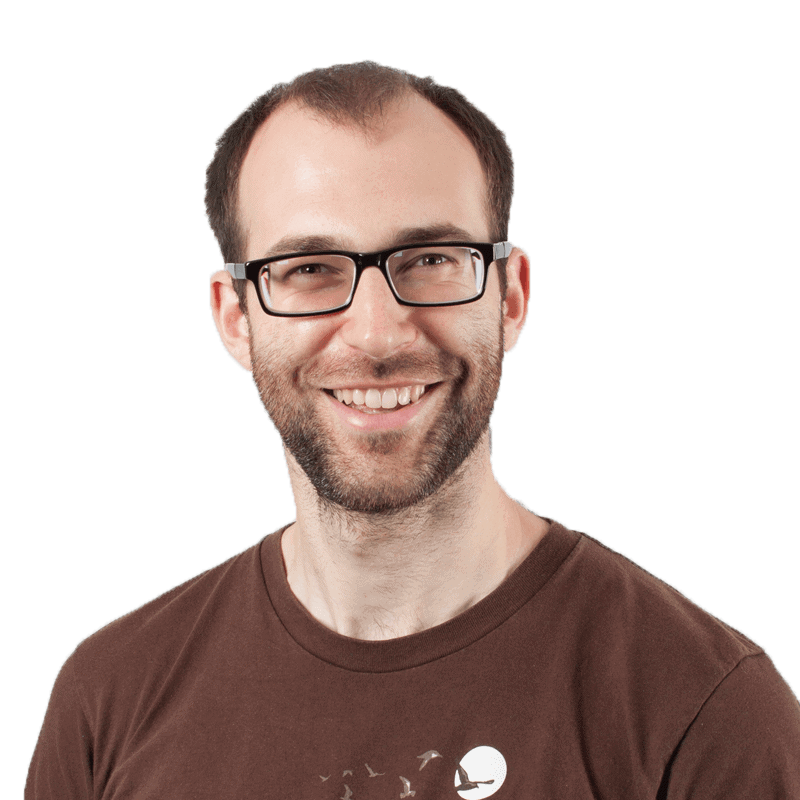 Jonathan Hickford is a product manager at Red Gate, working on creating tools to support automation of the database delivery process. Before he joined Red Gate he worked running the web technology team of an international broadcaster, who provided new features and the operational management for the consumer facing TV network websites. Only thing I’d say you don’t have to worry about as much w/ tools are the rename operations. I know SSDT offers a pretty decent renaming handler and creates a "refactor log" table to store those rename operations. Of course, it could be pretty basic just to say if table "ABC" exists, rename to "DEF", but it’s still there. I thought Red Gate offered something similar as well, but don’t know the Source Control product enough to say for sure. The majority of the other cases – I agree that those do come up from time to time and need special handling. I rarely look forward to trying to do those sorts of manipulations just because they’re complex and run the risk of breaking something or losing data. I appreciate you pointing out the different scenarios and providing example scripts for handling them. Thanks for your comments. You’re right there is a feature within SQL Source Control to add these migration scripts, in order to override the default behavior of the automated comparison engine. The same migrations are then honored by other Red Gate tools (SQL Compare, SQL CI, Deployment Manager) when deploying elsewhere. 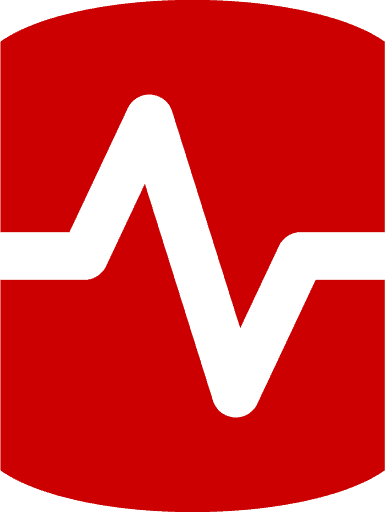 More details on http://www.red-gate.com/migrations if you want to find out more. at our company it is often the case, that when we migrate data from db a to db b, we need to take care of identities from database a and move them proper to database b. so for ex we have a table "gender" with id 1 = male, id 2 = female, but in the destination database we have id 1 = female and id 2 = male. so you could set identity insert on and update the values but how do you handle the corresponding references let’s say in table adress where the fk of the gender id is? and in our scenario, we have plenty of foreign tables that point to the gender table, so all tables need to be updated with the new values in order to have correct data afterwards. I want you to know that I’ve read and re-read this article a few times. I enjoyed your article immensely, as we struggle with some of the same issues you addressed. I do wonder if you have a suggestion I can follow on storing scripts like the Pre- and Post-Deploy scripts you mentioned in this article. Things are working well for me so far… I’ve been able to make slight table changes, stored procedure logic changes, etc. Recently however, I realized I needed to change the relationship between a few tables, and so that I don’t lose any data, I’ve decided to go with a Pre- and Post-Deployment script as you detailed above to manually drop the constraints, alter the tables, migrate the data, and setup new constraints. The problem with this plan is… do I -really- just write a few "Guard Clauses" into the scripts around the sections that make the change (that only affects this version of the database), and then just leave this added code for this one-time migration in my Pre- and Post-Deploy scripts -forever-?! I think over time, that would negatively affect the readability of those scripts, as they clutter up with more and more one-time deltas. If we deploy to a new environment for example, then this logic will never be needed, as the schema and relationships between tables in the SQL Server Database Project will be "all new" to the new environment. I can also see some future developer who is new to my application trying to get a sense of what’s going on by going through the scripts, and seeing all of this code that is no longer needed. It feels equivocal to scripting every change I’ve ever made to the schema into a single, huge log file and replaying it when I deploy. 2) Script these changes and manually execute the scripts, forgoing the use of the automated deployment for this build, and just check-in these scripts into some folder for safe keeping. This would avoid the benefit of the Pre- and Post-deploy scripts, but might enhance the ease-of-comprehension of the SQL Server Database Project. (Whew long post.) So, given these choices, which would you choose? Is there a better option I don’t understand? Can you invalidate my gut feeling that populating a bunch of one-time-only logic into the Pre- and Post-deploy scripts is not really a problem to worry about? Todd, you might want to do one of a couple of things in your scenario. 1. Write your scripts to check for certain conditions before running. Don’t run if those conditions aren’t met (for example, don’t run if the changes were made already). You might do this with a table, with a schema check, or some other way. 2. When your changes are complete (and assuming only for one system), comment the relevant lines out of your pre/post deploy scripts. That will prevent them from being included in future builds. Reading your post, I’d probably do a variation of your first option in putting the script into the build with the appropriate safeguards around multiple releases, but comment out the script from the pre/post area when released. You’ll still have it in version control and still be able to pull it back pretty quickly if needed. Cool man, the article was quite impressive, the detailing and all the stuff…..great job. But I dont like scripts and these commands personally so I prefer using GUI based software and right now I am using GS Richcopy 360. Pretty impressive and full easy to use. I am satisfied with it. And great job by you too Admin! Or you could invent a migrations table that store unique name of your migration script, and insert your script name at the very end and add a guard for the existence of this name at the start of your script. Thus no needs of messy guards, IF EXISTS should be enough.